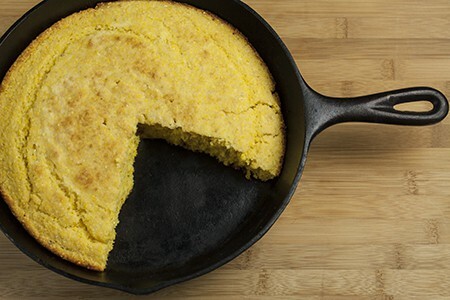 The cast-iron skillet is a sturdy, versatile, traditional kitchen workhorse that most of us own, but don’t always use regularly. This class will cover everything you need to know about cast-iron cookware (how to buy, season, care for and clean) and the many dishes you can cook and bake in this true multitasker of the kitchen! Recipes include: Caramelized Onion Cornbread, Rosemary Mustard Chicken with potatoes, Charred Vegetables and Chocolate Chip skillet cookie. You are late! This class has already been done.